Taking the headlines at this year's Mobile World Congress was never going to be a big ask for the Samsung Galaxy S5. Building on the success of the Samsung Galaxy S4, it will undoubtedly become the Android user's handset of choice and mount a serious challenge to the iPhone 5S and iPhone 6. Samsung has gone down the tried-and-tested route of an incremental upgrade that makes slight modifications to the overall design, adds in some new features and bumps the specs. So far, so Apple. I'm not going to sniff at the camera upgrade, or the fingerprint scanner or the extra juice that comes from a 2,800mAh battery. Hell, even the water resistant IP67 rating is a useful addition – although Sony's been doing that better for longer. And yet, there's been plenty of negative reaction to Samsung's upgraded flagship on our Facebook page and Twitter feed. The reason is probably because, like the iPhone 5S, this is just an upgrade. It's not a spanking new, honest-to-goodness reinvention. The truth is that Samsung was always going to take this path. Why wouldn't it? The company is the legitimate alternative to Apple in the eyes of most non-tech folks. Anyone coming to the end of a 24-month contract with the Galaxy S3 will be making a solid upgrade by picking up a Galaxy S5. And, if you're using the Galaxy S4 – which had no shortage of features itself when it launched last year – will still have another 12 months to wait. Personally, I find the Gear Fit companion device to be just as interesting as the Galaxy S5 itself. Wearable technology is experiencing its big moment in the tech industry at present. Although, while I anticipate Samsung (as usual) throwing buckets of cash at the marketing department, it's difficult to see it catching on with the general public just yet. Samsung could have given the S5 a metal chassis, similar to the excellent HTC One. Or it could have thrown in an option to personalise the design, like the Moto X. Or, it could have introduced holographic projection during phone calls. But none of these are necessary to make a profit with the masses; they're just points on a scoreboard in the eyes of the tech-savvy minority. What it has done is produce a solid upgrade that will offer some genuinely useful (fingerprint scanner) and genuinely interesting (pulse monitor) features to the majority of users. And, as with any new gadget (regardless of manufacturer, operating system or design), I'm looking forward to giving it a try. 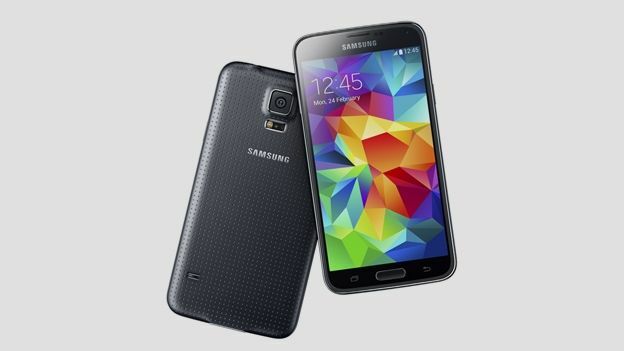 T3.com has already had some time with the Samsung Galaxy S5 so, if you haven't already, you can check out our hands-on review here.